Zippo Choice High Polish Chrome Cross Lighter | BUDK.com - Knives & Swords At The Lowest Prices! 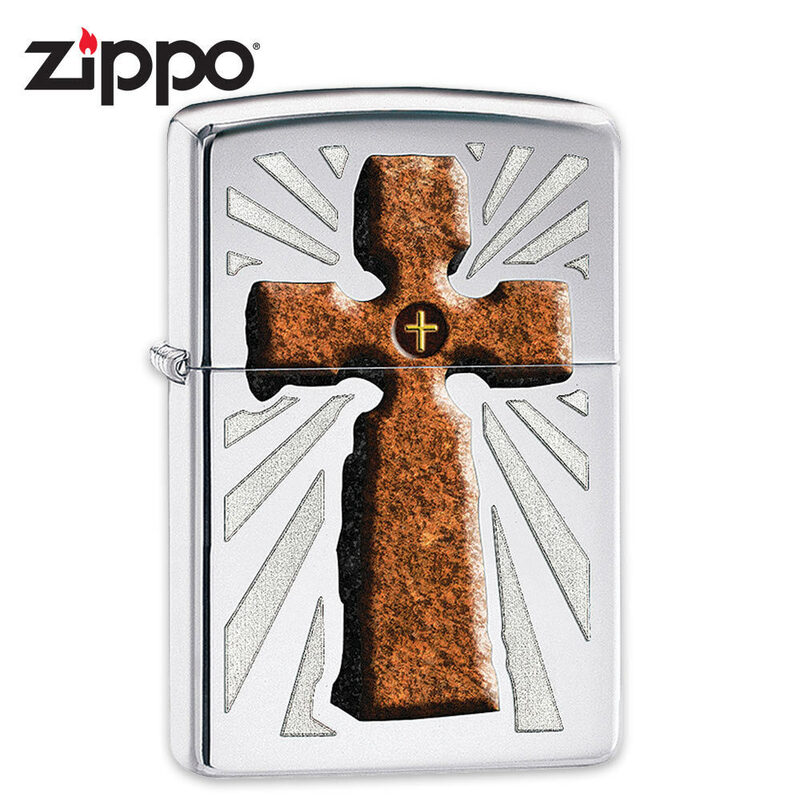 Carry your faith with you with this cross lighter from Zippo. The stone-like cross artwork is full-color and is surrounded by artwork that gives the cross a glowing effect. The satin chrome finish case adds to the radiant beauty of this windproof lighter.